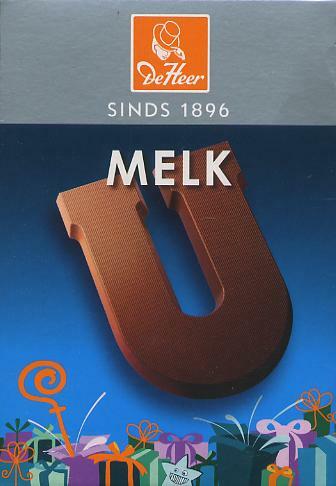 De Heer Milk Chocolate Letter Small U 65g - Chocolate Letters - The Dutch Shop LLC your store for Dutch groceries. Barony supports sustainable cocoa farming by buying UTZ Certified cocoa. UTZ Certified farmers use improved farming methods, with respect for people and nature. This allows them to improve the quality of their cocao and thereby gain a better income. Click here to find out more about products. It will open a new window. sugar, cocoa butter, whole milk powder, cocoa mass emulsifier:soy lecithin, natural vanilla flavor. Milk chocolate: cocoa solids 32% minimum. May contain traces of gluten, nuts, and peanuts.